The latest round of protests shows the determination of the Iranian people to secure regime change. With the government in distress, a Nowruz could be on the horizon in Iran’s political sphere. As the Iranian calendar year draws to a close, citizens honor the occasion with fires and fireworks. But this year is different. The festivities ahead of Nowruz, the Persian New Year, are not just inflammatory in their choice of incendiaries to mark the occasion. The Iranian government tried to stop the public from celebrating Chaharshanbe Suri, the pre-Islamic tradition of jumping over a fire to symbolize purification and a new beginning. In a move of defiance, the Iranian people used these celebrations of a new beginning, to ignite a fresh round of protests nationwide. Nowruz translates as “new day”. This is precisely what the Iran opposition wants. 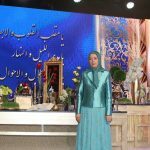 Iran’s opposition, the People’s Mojahedin Organisation of Iran (MEK) called on the Iranian population to rise up again in search of freedom. These protests ahead of Nowruz have been the latest in a long string of uprisings from the Iran opposition movement. Previous protest movements included the general strike of Baneh, the protests from steelworkers in Isfahan, protests from workers in a sugarcane factory in Khuzistan and a farmer’s protest in east Isfahan. 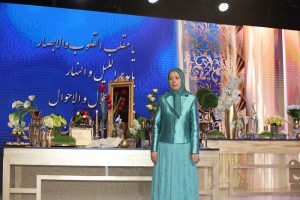 The hope from the opposition (MEK) is that this Nowruz represents a new dawn in Iran. It hopes to build on the momentum of the protests movement and trigger regime change in the coming year. There are already indications that the coming year could be MEK and the opposition’s most promising yet. According to Maryam Rajavi, the Iranian government faces some stiff challenges in the year ahead. There is an internal fight over Khamenei’s heir and an impending financial crisis. There have also been defections from the government’s Revolutionary Guard Corps (IRGG). Trump in the US has distanced himself from the policy of appeasement pursued by his predecessor, Obama. The US has continued to impose sanctions targeting Iran’s repressive IRGC. Also, the international community seems to be realizing Iran’s destructive role in the region and may be turning against Tehran, as it insists on its Ballistic Missile program. Therefore the government looks to be in trouble. No threat is greater for the regime than the gathering momentum on the protest movement. The latest protests ahead of Nowruz show the determination in the country to oppose the government’s tyranny. The last round of intense protest took place in December and January. The government responded with a bloody crackdown on dissenters. It arrested more than 8,000. Over 50 protestors died in custody. But this has not deterred protestors. This determination is the single biggest threat to the Iranian regime. Young, determined Iranians are the people who make history. They are the ones who can usher in a new dawn, a Nowruz, in Iranian politics. And if they can carry this momentum forward, it is only a matter of time before Tehran finds it cannot defy the people any longer.